Foreman has established much of CNN's work "beyond video"
Most recently recognized for his innovative coverage of the Thailand Cave Rescue on CNN, Tom Foreman is a distinguished, Emmy award-winning journalist and a pioneer in new media. Foreman has established much of CNN's work beyond video by playing a key role in the development of an immersive, 3D virtual studio that has taken viewers into space to study satellites, onto distant battlefields to promote better understanding of dangerous conflicts and deep into data for an analysis of the 2016 election cycle. 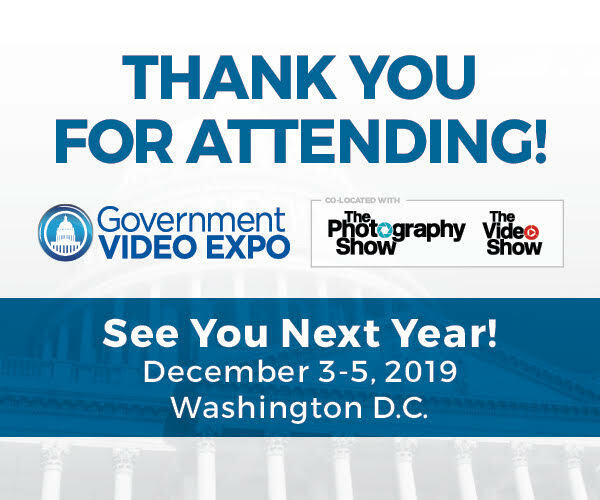 He joins Government Video Expo 2018 as a keynote speaker on the free exhibit show floor. To view the show's full agenda and plan your visit, click here. Foreman has traveled to all 50 U.S. states and more than twenty countries to report on, among many topics, CNN's America's Choice 2016 presidential campaign cycle, the Paris terror attacks, the disappearance of passenger plane MH370, and the aftermath of Hurricane Katrina. He leads the network's fact checking initiative and in 2013 Foreman and the fact checking team were awarded the Walter Cronkite/Brooks Jackson Award. Foreman joined CNN in 2004 and is based in the network's Washington, D.C. bureau, where he covers a wide-range of topics for the network and reports for programs across the spectrum, from The Situation Room with Wolf Blitzer to Anderson Cooper 360º. Foreman has pioneered much of CNN's work in new media, by playing a key role in the development of an immersive, 3D virtual studio.